Tired of Trading Hour for Dollars? Contact Rick for more information on how to leverage your time, create more freedom and an income so you can live on your own terms! I am sometimes asked, "Why do so few people make it to the top of their network marketing system? "The truth is, the top of the network marketing system is open to everyone-unlike traditional corporate systems, which allow only one person to reach the top of the company. The reason most people do not reach the top is simply because they quit too soon. So why would someone quit short of the top? Most people join only to make money. If they don't make money in the first few months or years, they become discouraged and quit (and then often bad-mouth the industry!). Others quit and go looking for a company with a better compensation plan. But joining to make a few quick dollars is not the reason to get into the business. Reason number one is to help yourself. Reason number two is to help others. If you join for only one of these two reasons, then the system will not work for you. Reason number one, means that you come to the business primarily to change quadrants-to change from the E (Employee) or the S (Self-employed) quadrant to the B (Business owner) or I (Investor) quadrant. This change is normally very difficult for most people-because of money. 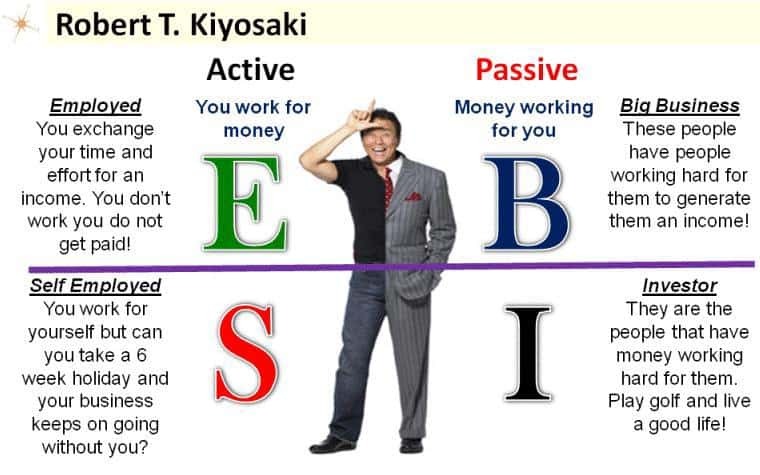 The true E or S quadrant person will not work unless it is for money. This is also what causes people to not reach the top of the network marketing system: they want money more than they want to change quadrants. The beauty of most network marketing systems is that you do not really make much money unless you help others leave the E and S quadrants and succeed in the B and I quadrants. If you focus on helping others make this shift, then you will be successful in the business. As a B or an I, sometimes you don't get paid for years; this, a true E quadrant or S quadrant person will not do. It's not part of their core values. Risk and delayed gratification disturb them emotionally. One of the beauties of network marketing is that it focuses on developing your emotional intelligence as well as your business skills. Emotional intelligence is an entirely different matter from academic intelligence. In general, someone with high emotional intelligence will often do better than someone with high academic intelligence but low emotional intelligence. That explains, in part, why some people do well in school but not so well in the real world. The ability to delay gratification is a sign of higher emotional intelligence. In a recent study of emotional intelligence, it was found that people who could delay gratification often led more successful lives than those who could not. This is why the educational system inherent in a good network marketing opportunity is so important. It's the emotional education or emotional intelligence aspect of their programs that I find so valuable for people. 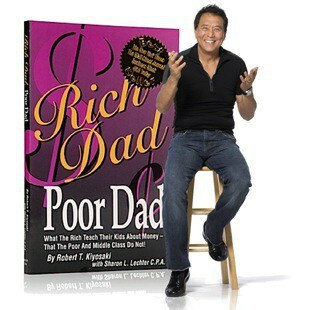 Many people write me and tell me they loved my book, Rich Dad, Poor Dad, but I fear that many of them don't get the most important point of the book: Lesson #1, "The rich don't work for money." Once I have built or bought an asset, that asset works hard to make money for me. But I will not work for money-I will work only to build or buy assets. Those assets make me richer and richer, while I work less and less. That is what the rich do. The poor and middle class work hard for money, and then buy liabilities instead of investing in assets. ​What Kind of Asset is a Network Marketing Business? Remember, there are two reasons required to be successful in network marketing: to help yourself, and to help others. Reason number one means helping yourself get to the B side of the quadrant. What about reason number two. The beauty of most network marketing systems is that you don't really make much money unless you help others leave the E and S quadrants and succeed in the B and I quadrants. If you focus on helping others make this shift, then you will be successful in the business. If you only want to teach yourself to be a B quadrant and I quadrant person, then a true network marketing system won't work for you. You may as well go to a traditional business school, which focuses only on your becoming a B quadrant person. The beauty of a network marketing business is that your goal is to create assets, which are other B's working under you-and their job is to create other B's working under them. In traditional business, the focus is for the B to have only E's and S's working for them. The type of business I was taught to build is a business with me at the top and E's and S's at the base. I really don't have room at the top for many other B's, which is why in my businesses, I strongly recommend that all my employees look into network marketing as their own part-time businesses. The traditional corporate system really is a pyramid; because there are a few B's and I's near the top, and more E's and S's at the base. A network marketing system is a reverse pyramid: its primary focus is to bring up more and more B's to the top. One type of pyramid, the traditional type, has its base on the ground; the other type has its base in the air. It's a pyramid that pulls you up instead of pushing you down. A network marketing business gives everyone access to what used to be the domain only of the rich. This passage is excerpted by permission from The Business School for People Who Like Helping People, by Robert T. Kiyosaki, with Sharon Lechter, CPA, authors of Rich Dad, Poor Dad." Take a look at a business model that can truly create financial freedom. See it here.